Among the Dutch Golden Age landscape painters, Jacob Isaackszoon van Ruisdael was the most famous. It was the time when Dutch painting was at the height of its popularity. He was not only a painter but also an etcher and a draftsman. Ruisdael came from a family of artists. His father was also a landscape artist as well as an art dealer and frame maker. He was born in Haarlem in 1628. It was believed that he received early training from his father and uncle, who was also an artist. They both had an influence on the early paintings of Ruisdael. Another Dutch painter, Allart van Everdingen, who specialized in landscapes and seascapes also had an influence on his early works. At age 20 Ruisdael was already a member of the St Luke artist guild in Haarlem. Ruisdael was a prolific painter. For Scandinavian views of waterfalls alone, he created 150 paintings. He was likewise very versatile and painted landscapes, cityscapes as well as seascapes. 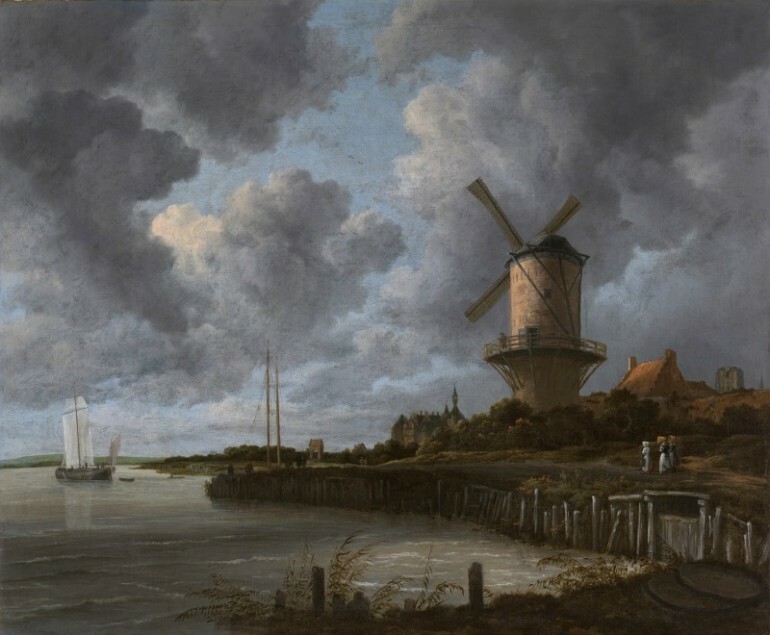 Despite the difficulty encountered when it comes to attributing works to Jacob Van Ruisdael because of his relatives who were also artists, his influence reached out far and wide. The Dutch Republic had a great demand for his paintings. He actually had a hand in forging the traditions of landscape painting around the world. His work exerted influence over several generations of landscape artists in his homeland, as well as the artists belonging to the Hudson River School in the United States that was founded by Thomas Cole; the French Barbizon School and the Romantic painters in England. Only Meindert Hobbema, known for adding figures in the landscapes he painted, was his only registered pupil on record. Ruisdael was regarded as the greatest advocate of landscape painting in Holland in the late 16th to late 17th centuries. Most Dutch painters during the 17th century concentrated in portraiture and Realist genre. But Ruisdael was focused on a different theme. He was competing with the likes of Claude Lorraine and Nicolas Poussin who created Italianate landscapes. Thus, despite his brilliance, his works were under-appreciated during his time. 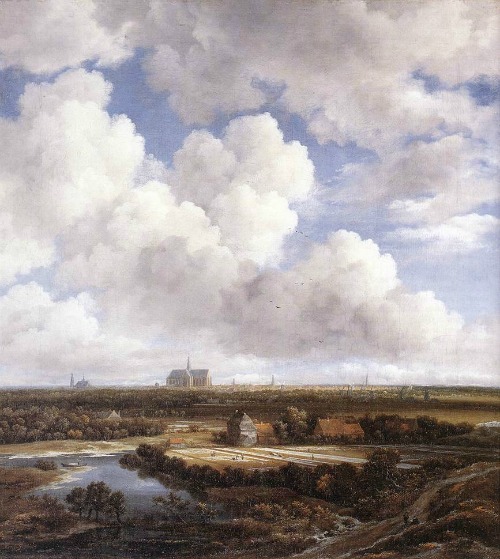 There were four painters that were very influential during the Dutch Baroque age: Jacob Van Ruisdael, his uncle Salomon Van Ruysdael, Aelbert Cuyp and Meindert Hobbema. Their work had a significant influence in English School of Landscape Painting’s development in the 18th century. There were two prominent styles then. One was led by Claude Lorrain, based on the classical tradition of ideal landscapes, mostly of the Italian countryside that was real or imagined. The other one was advocated by the native Dutch Realists that was characterized by faithfully capturing nature. Ruisdael was an intelligent child and his artistic talent and skills were far advanced. He was still in his teens when he created his earliest dated works which showed scenes around Haarlem. His work showed maturity, particularly in his use of vivid colors and contrasting light and shadow. Starting from age 22 and for the next 20 years, Ruisdael worked on various landscapes around Haarlem; woodland scenes, inner forests, wheat fields and cottages bordering country roads, beautiful windmills near rivers, calm beaches, stormy seas and winter scenes. Ruisdael, drawing inspiration from Allart van Everdingen, who specialized in Scandinavian landscapes, created several paintings featuring waterfalls and mountain streams. Jacob Van Ruisdael was very good at cloudscape. In fact about two thirds of his canvas was usually occupied by clouds. He painted nature during its many different moods, so there could be vast panoramas showing golden wheat fields, or green meadows, or it could be a dark and rather solemn depiction of winter. He painted bright canvases, with large clouds and sunlight breaking through some of the clouds. His palette showed a prevalence of rich green. For his seascapes, he normally used tones of clear gray. He was not predisposed to depicting a pictorial record of a scene before him. What he did was to think about the scene and arrange his compositions where there will be several options to show subtle contrasts in the clouds, tree and plant forms and the play of light among the objects. While he was in great demand during his time, he was not as popular as those that opted to create classical landscapes showing pastoral scenes of Italy. His works were collected by appreciative collectors in the 18th century but he gained full recognition in the 19th century when naturalistic landscape painting began to bloom in France and England.